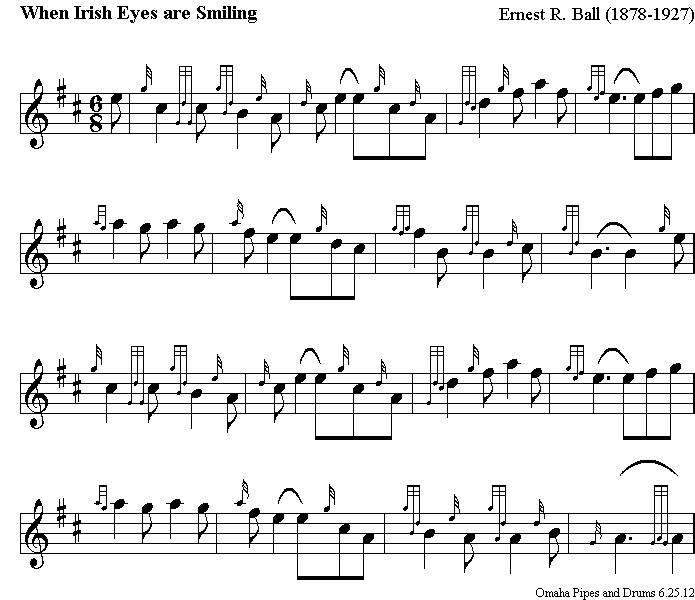 "When Irish Eyes Are Smiling" is a lighthearted song in tribute to Ireland. Its lyrics were written by Chauncey Olcott and George Graff, Jr., set to music composed by Ernest Ball, for Olcott's production of The Isle O' Dreams, and Olcott sang the song in the show. It was first published in 1912, at a time when songs in tribute to a romanticized Ireland were very numerous and popular both in Britain and the United States. During the First World War the famous tenor John McCormack recorded the song. Composer Ernest Ball was born in Cleveland, Ohio on July 22, 1878. He was trained at the Cleveland Conservatory. In 1905, Ball was already in New York City, he was given a few verses written by the then state Senator, James J. Walker, who later became famous as the Dapper Jimmy Walker, Mayor of New York City. He put one of the verses to music, and called it "Will You Love Me In December as You Do In May?" which became a national hit. Beginning in 1906, Ball had a dual career, writing songs and also singing them himself on the vaudeville stages. At first he worked alone, but later shared billing with his second wife, Maude Lambert. In 1907 he was a charter member of the American Society of Composers, Authors and Publishers (ASCAP) and signed a contract with Witmark Music as a demonstrator and house composer. Ball has said that he became a successful composer when he learned to write songs that came from his heart, and were about things that he knew. He collaborated with several lyricists including Chauncey Olcott, George Graff, Darl MacBoyle, J. Kiern Brennan, James J. Walker, Arthur Penn, Annelu Burns and David Reed. 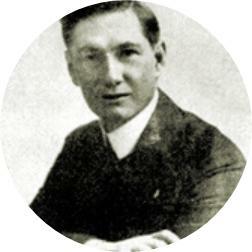 Ernest Ball died in Santa Ana, California on May 3, 1927. 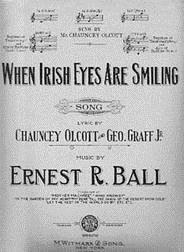 A dispute over Copyright renewal for "When Irish Eyes Are Smiling" ended up in the US Supreme Court in 1943. However, today there is no dispute as to its copyright status; it is now in the public domain, since it was published in the USA prior to 1923. Like the linnet's sweet song, crooning all the day long.